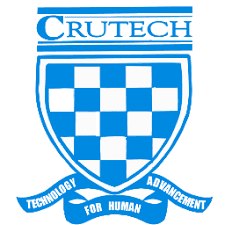 The Cross River University of Technology, CRUTECH invites suitably qualified candidates to its 2018/2019 academic session first choice post UTME and Direct Entry screening exercise. CRUTECH Post UTME Screening Eligibility. Prospective candidates (Both UTME and Direct Entry) who made Cross River University of Technology (CRUTECH) their first choice and scored 150 and above in the 2018 UTME Examination. How to Apply for CRUTECH Post UTME. To access the Online Application Form, candidates are required to pay two thousand (N2,000.00) naira Screening Fee payable online with either Master/Visa/Verve ATM Card or in any commercial bank through Remita via the online application Portal. Log on to crutech.edu.ng and click on the PostUTME link. Follow the instructions on the Online Application Portal to complete the form. Print out the Application Slip after a successful registration. Only candidates who scored 150 and above in the 2018/2019 UTME Examination are eligible for the Screening. Candidates are not required to appear physically for the screening and therefore not expected to travel to Calabar. The screening exercise will end on Friday, 17th August, 2018. All the above stated documents are scanned and uploaded properly. The phone number and scratchcard(s) details provided are correct.